Need utmost comfort on a short range trip? Then the Douglas DC3 can exactly meet your requirements. By chartering for a private flight aboard this aircraft, you can have spacious interiors with customized seats. It would be delightful to have a seat you can recline on, so you easily stretch out your feet throughout a short trip. The Douglas DC3 has interiors which are equal to 32 passenger seats. Hence if you’re chartering a flight aboard this customized plane, it would be best to ask about its exact facilities to make sure your in-flight needs will be met. The DC3 is usually powered by Wright R-1820 Cyclone engines, which enable you to reach Quebec or even Massachusetts in the United States. Compared to its commercial counterpart, a private flight aboard the Douglas DC3 enables you to reach much farther destinations. Efficiently schedule your flight in reference to your intended location. Be sure to confirm the number of passengers you’re traveling with, plus the weight of luggage you’re carrying. 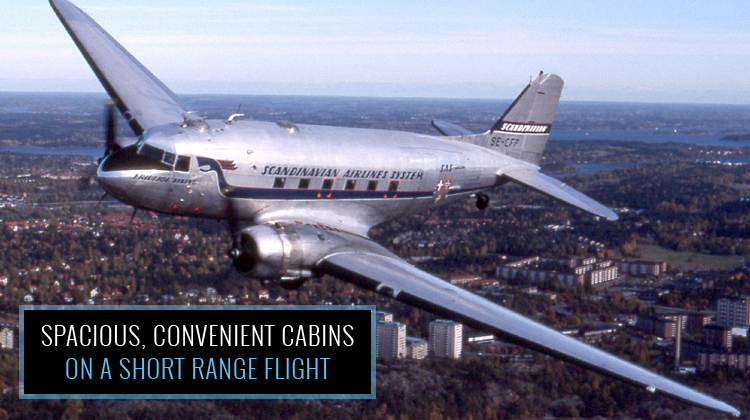 Have the most enjoyable short-range trip, by hopping aboard a private Douglas DC3 today. If you’re the type of flyer who would like to avoid feeling cramped during a trip, you’d be glad about the spaciousness of Douglas DC3. It has a 32-passenger seating capacity, which can be turned into a private abode through customization. For quick trips, you can keep comfortable with your stretchable seat plus a pullout table. At the very least, an updated and standard passenger seat will have a foldable table. This way, you can relish your refreshments and keep working on your laptop for a work-related presentation. The Douglas DC3 is a steady ride which is being widely used for various short range flights in the United States. It can take you within a 648 kilometer radius from your point of departure. This plane is also considered to fly fast given its climb rate of 1,130 feet per minute. 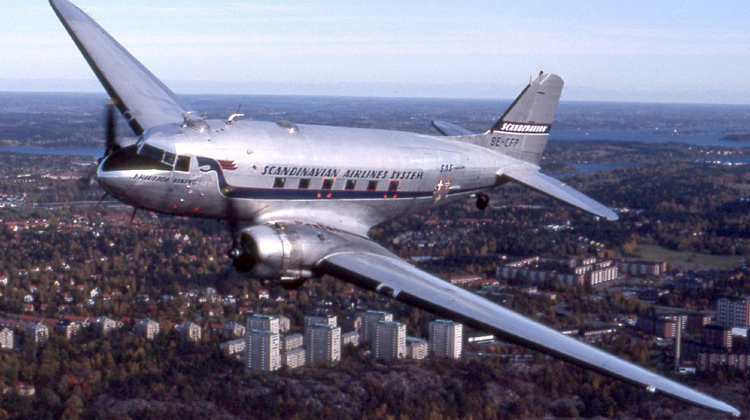 Manufactured by the Douglas Aircraft Company, the Douglas DC3 had its first flight in the mid30s. Given its 80 year, operational experience, the aircraft is found to be reliable especially after several stages of upgrades. It has over two dozens of upgrades to cater for various applications. This plane was operated for the military, civilian passengers, rescue operations, among many other purposes. It even had foreign adaptations particularly from Japan and Russia, as said countries built over a thousand variants of this model. With over 600 units built throughout the world, this plane continues to stay efficient for the benefit of its operators and passengers.